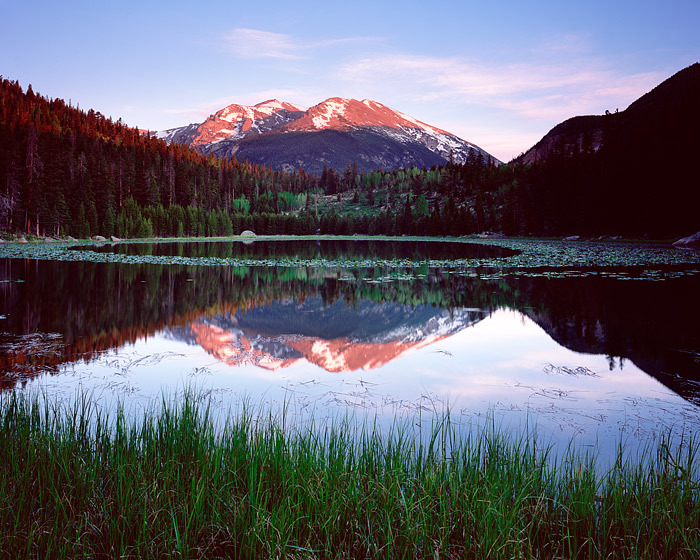 Stones peak is reflected in Cub lake on a peaceful spring morning. Pond lillies have replaced the ice and snow which has covered much of Rocky Mountain National Park. The Colorado winter is finally releasing its grip on the high country and the ice and snow is being replaced by green grass. Photo © copyright by Thomas Mangan.